Diagnosed with advanced liver cancer, Mark Turnbull had few treatment options. But physicians at Mayo Clinic Health System offered a unique approach to radiation therapy that slowed the cancer's growth and extended Mark's life expectancy. One night when a sharp pain in his side woke him from a sound sleep, Mark Turnbull dismissed the discomfort and assumed it would go away by morning. But the pain only intensified as the night went on. In the morning, the 61-year-old Hudson, Wisconsin, resident visited his doctor. He went through a battery of tests, including blood work and an X-ray. The test results initially pointed toward pneumonia. However, an MRI revealed something far worse: advanced liver cancer. Mark's pain was caused by a grapefruit-sized tumor that was pinching a nerve. He learned that surgery and treatments would help, but it was very unlikely that his disease could be cured. From that point on, however, Mark has been determined to maintain a positive outlook. "When the doctor told me I had cancer, I said, 'OK. Now how can we work with this?'" he says. "God's put me in this position, and I've embraced it." 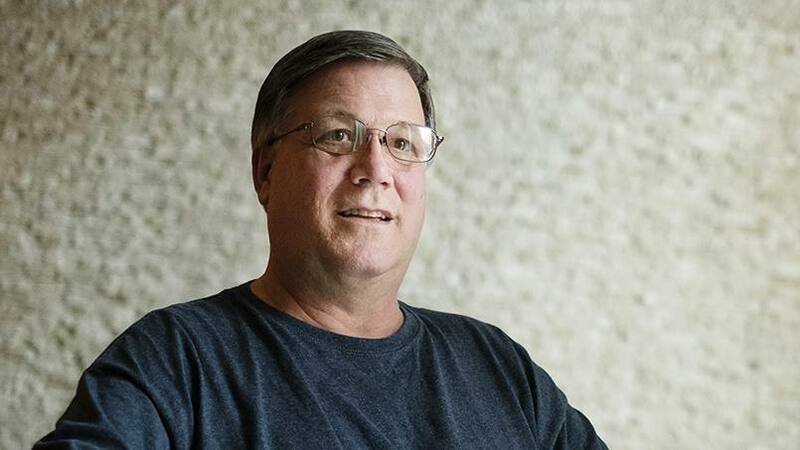 Mark was a Mayo Clinic Health System patient when all of this unfolded. And for that, he's grateful. "All of the doctors and support staff that I've worked with have been very knowledgeable, helpful and genuinely concerned," he says. "Mayo Clinic Health System is awesome." To help slow the progression of Mark's liver cancer, Jeremy McBride, M.D., an interventional radiologist with Mayo Clinic Health System in Eau Claire, Wisconsin, suggested a minimally invasive radiation therapy called Y-90. It could be used to strategically attack the tumors invading Mark's liver. The treatment works by injecting tiny particles into the arteries feeding the tumors with blood. Only the tumors are targeted. Healthy liver tissue and other nearby organs are not affected. While the procedure won't cure Mark's cancer, Dr. McBride expects it to extend Mark's life expectancy and improve his quality of life. "Our intent is to slow down the tumor, to kill as much of it as we can and keep it from progressing," Dr. McBride says. "It's a good treatment option for patients who don't have many good options." To minimize the risk of injury to Mark's liver, Dr. McBride treated half of the liver at a time. The first treatment was in July 2016, the second in October. Follow-up scans thus far have shown positive results. "If it looks like it's progressing again, we can potentially treat again with Y-90," says Dr. McBride, who is careful to limit how much radiation the liver receives. Patients are typically limited to two treatments, although doctors can take another approach that involves concentrated chemotherapy and larger particles once radiation limits are reached. "He could potentially have that multiple times to prolong his survival and keep him doing well," Dr. McBride says. For now, Mark continues to work, feels good and remains in good spirits. He's even baked cookies for his care team. "He's been great to work with. He's always been very positive and happy," Dr. McBride says. "All the nurses and everyone who works with Mark enjoy having him around." The staff also appreciates Mark's sense of humor. Dr. McBride shares a story about Mark's return trip to the clinic when it was time to treat the second half of his liver. "When he came in, he had colored his hair orange and red and asked me if that was a normal reaction to radiation," Dr. McBride says. Mark says he would "highly recommend" the Y-90 treatment, as well as his entire medical team, to other patients in a similar situation. "It did exactly what it was supposed to do. All in all, it was a very good experience," he says. "I would support that team any way I could. They worked extremely well together, and Dr. McBride … that man, to me, walks on water because of what he's done." Connect with others talking about liver cancer on Mayo Clinic Connect.